From Abeokuta, Ogun state both singers , Songwriters and performing artist. @DonllyG and @Shegzyhandsome drops the debut EP Album titled ALPHABET Consisting of six tracks (6) with Afro pop style of African sound. All tracks fully produced BY @Jahreignclassic for Bigbrosboss entertainment. 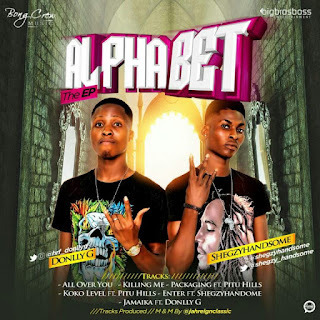 This EP (Alphabet) has all types of African sound in it that you wouldn’t want to be left out.